Alice Fay Schuppe, age 85, of Neenah, passed away surrounded by loved ones, on Thursday, December 6, 2018. Alice was born on January 27, 1933 in Oshkosh, daughter of the late Julius and Ethel (Jones) Mueller. 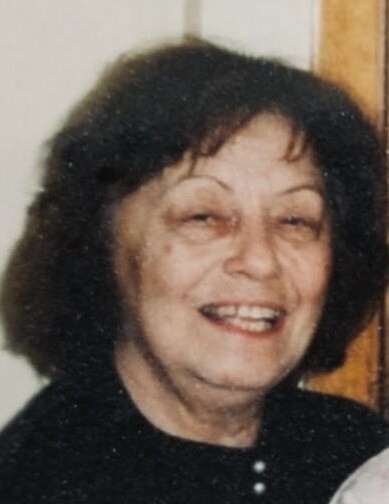 Alice was preceded in her passing by her brother, Charles A. Mueller (1953), her parents, Julius (1960) and Ethel (1972), two husbands, Garland Henry Burg, Jr. (1962) and Harry Charles Schuppe (1990) and her two great-grandchildren; Sullivan Danger Sherron (2014) and Bethany Arlynne Ladieu (2017). Alice graduated from Neenah High School in 1951, met and eventually eloped with Garland Henry Burg, Jr. to Davenport, IA., in 1956, where then, she and Junior settled down in the rural Oshkosh area to raise their children, Mark, Faye and Paul. Upon Junior's passing, Alice and her brood then moved back into Oshkosh itself and it was there she met and married Harry Charles Schuppe in 1964. From there, the family grew to include Mike, Patricia and John. The family had grown enough in size that they all moved to the country near Alice's mother and became members of the Allenville/Larsen/Winneconne community area. Sadly, Alice and Harry separated and divorced in '72, and Alice and the kids eventually moved to Oshkosh in '75. When all the kids moved out, she moved to the Town of Menasha in '85 and finally, Neenah, this year. Alice is survived by her children, Mark Burg (La Crosse, WI. ), Faye (Jim) Sherron (Beaver Dam, WI. ), Paul (Debbie) Burg (Cantonment, FL. ), Mike (Beth) Schuppe (Oshkosh, WI. ), Patricia (Lon) Loehning (Beaver Dam, WI. ), and John J. S. Schuppe (Hixton, WI. ), her grandchildren, Scott, Faith, Josiah, Justin, Hope, Charity, Joel, Jonathan, Jeremiah, Rachael, Hannah, Judith, Grace, Barry, Amanda, Alice, Joel, Crystal, Paul, Tony, Sara, Athena and 42 great-grandchildren + 2 more on the way. She is loved and will be missed by all. The family covets your prayers. Funeral services will be held at 6:00 p.m. on Tuesday, December 11, 2018 at the Kessler Funeral Home, 304 S. Commercial St., Neenah. Visitation will be held at the funeral home from 4:00 p.m. until the time of services. Burial will be in Lakeview Memorial Park, Oshkosh. In lieu of flowers, the family requests donations be sent to ThedaCare At Home Hospice, in Neenah, WI.. The family would also like to thank the many individuals who assisted our mother with her care, in particular, Paige, Melissa and Jeanne. Also sincere thanks to Debbie Gordon of Brookstone Commons in relocating our mother to Neenah.